Mistakes happen, but in order picking operations, reducing the number of errors is critically important. Order picking is the last touch point between you and your customers. When it comes to customer relations, it’s more important than any public relations, press releases, or websites your company can create. No matter if you’re shipping direct to consumers or to another processing operation, customers are directly impacted. Not only is the customer with the incorrect order harmed, so are potential future customers who suffer because of inventory errors delaying orders. What are some ways you can increase inventory accuracy related to order picking? The situation is familiar: in a busy warehouse or distribution center, you can have dozens or hundreds of order pickers that walk the floor with carts and clipboards or scan guns to pick orders for shipping. These are usually focused people who have the job in mind. After all, you’ve probably told them how speed is of the essence – which it is. 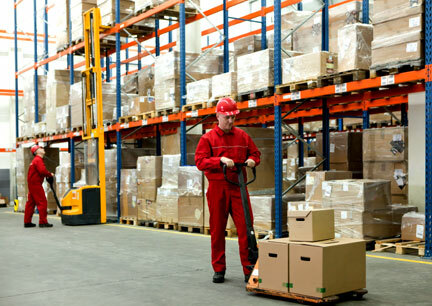 The problem is that in many or most operations, there are also forklifts, walkies, or electric powered jacks operating in the same space, often in tightly spaced pallet rack aisles. And guess what? The guys driving those forklifts are busy and focused on the job, too. It’s almost assured that if you have this situation, you’ve had accidents, or near-accidents — which you may never hear of, until the near-miss isn’t a miss at all.